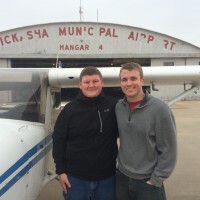 Chickasha Wings, Inc. was founded in 2003 by Mitch Williams to provide safe, efficient and affordable aircraft rental and instruction from Chickasha Airport in Chickasha, Oklahoma. 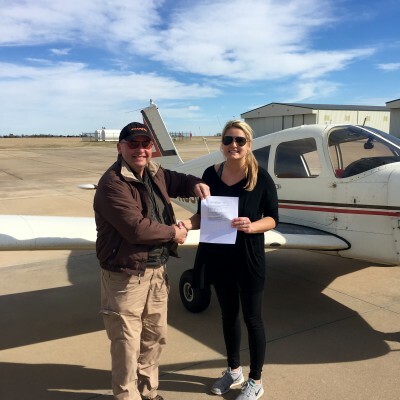 With us you can train for any certificate, starting at the Sport Pilot License andgoing all the way through to Commercial, Multi-Engine, Instrument Rating. You can train part-time, at your own phase, or join us as a fulltime student. 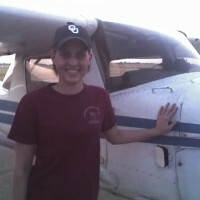 Chickasha Wings is a CATS approved testing center, so you can sit all your FAA written exams with us. 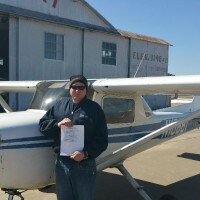 Chickasha Wings offers a commercial pilot course which will take you from zero experience to FAA Commercial, Multi-Engine Instrument (FAA CPL, ME IR). Our course exceeds the minimum training requirements set by the FAA, including 270 hours of total flying and 25 hours of multi-engine experience. Our well maintained training fleet includes a Cessna 140 for tailwheel training, two Cessna 150, a Cherokee 140 (IFR), a Cessna 172 (IFR/Garmin 430), an Ercoupe and a Piper PA-23 Apache multi-engine aircraft. We also have a Red Bird TD2 Basic Aviation Training Device (BATD) for training instruments procedures and G1000 glass cockpit training. All our aircraft are also available for rental at very competitive rates. Online scheduling available. Please contact us for the latest prices. I wanted to update a review left for Chickasha Wings. After the problems I had on my first visit, the owner contacted me and went above and beyond to make sure that I was completely satisfied. They have a very competent and knowledgable staff. I was very pleased with my second visit. I look forward to using them again.